The seriousness attributed to non-payment and tax avoidance is reflected in HMRC’s ‘Managing Serious Defaulters’ (MSD) programme. 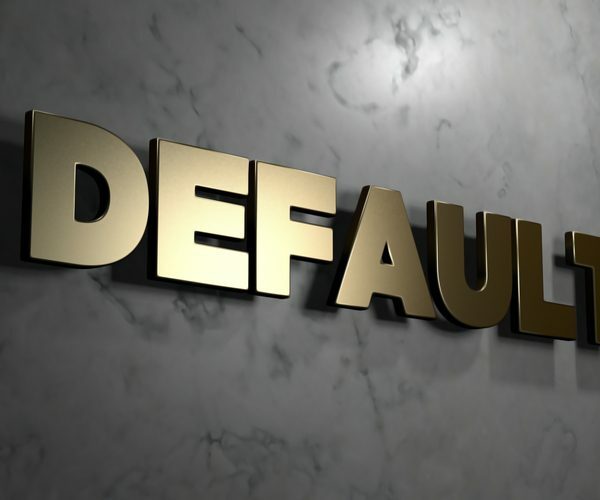 Originally set up in 2011 – formerly known as ‘Managing Deliberate Defaulters’ – the programme was revised in 2013 to widen the criteria of those falling under the umbrella of ‘serious defaulter’. 16,636 individuals and businesses were entered into the MSD programme between April 2011 and March 2017. It seems the MSD programme seeks to serve a dual purpose – not only endeavouring to communicate just how seriously tax defaulting is taken, but also to reassure the vast majority of taxpayers who do not commit tax avoidance but rather comply in full and on time, that there are indeed systems in place to deter and deal with offenders. What is meant by serious defaulter? In simple terms, a serious defaulter is anyone who deliberately avoids tax liabilities – all of whom then find themselves at risk of being placed on the MSD programme. Who manages the MSD programme? The programme is managed by the Serious Defaulters Management Unit (SDMU) who informs the defaulter in writing of their inclusion onto the programme and outlines the terms under which monitoring will take place. It is important to note that there is no right of appeal against entry onto the programme. As per HMRC guidance on the matter, any business or individual classed as a ‘serious defaulter’ can be monitored. Further, in some situations, the partnership or company may be monitored in addition to individual partners, directors or officers of the company. Serious defaulters who control – or have a controlling interest – in any other business, or who start a new business, may also find that business the subject of monitoring. This applies to those who start under a new name or in a new capacity, for example sole traders who become a limited company or directors of an insolvent company starting a new company. Should a company or partnership cease to trade, the individuals who had control or a controlling interest in it may still be monitored, in addition to the tax affairs of any other business they control or have a controlling interest in. This is not a case on ‘one-size-fits-all’ as the nature of the monitoring is very much dependent upon the defaulters’ wrongdoing and the level of risk they pose. HMRC will also take into consideration the likelihood of continuing to deliberately or dishonestly ‘get things wrong’ or simply avoid paying what they owe. Monitoring may involve announced or unannounced inspection visits and rigorous compliance checks into all or any part of the defaulters’ tax affairs. Defaulting individuals will be obliged to file self-assessments and pay any tax due on time. Returns must include full Statements of Account. If a business has been charged a penalty for evading tax in excess of £5,000, HMRC can request a copy of the detailed trading and profit and loss accounts, a detailed balance sheet, detailed computations and explanations that identify and explain the nature and amount of any figure contained within the accounts that cannot be confirmed by physical or electronic records. With regards to VAT registered businesses, HMRC can adjust the VAT accounting periods; withdraw the use of certain schemes such as Cash Accounting & the Flat Rate scheme, if VAT is believed to be at risk; or require the production of a VAT account. How long does monitoring last? Monitoring will cease only when HMRC are satisfied that both tax obligations are being complied with and that the defaulter poses no further risk of tax avoidance, tax evasion or non-compliance. Whilst on average this takes approximately 3 years, the monitoring programme can take anything from 2-5 years. As tax specialists, we can help with all aspects of tax compliance. Please see here for more information about our services or do not hesitate to contact us.